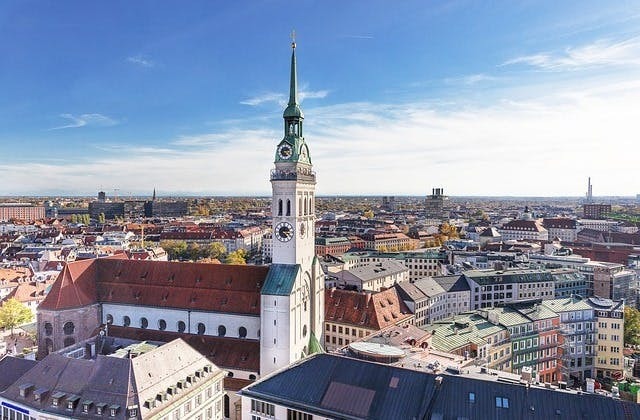 Cheap Flights to Munich, Germany. Return Flights. Munich has the International Air Transport Association (IATA) code of MUC. The cheapest airfare to Munich is $1,662 departing from Brisbane on Silkair. The Emirates Lounge is the closest hotel to Munich airport. Salzburg in Austria is the nearest overseas airport to Munich. Oops. #flybmi filed for bankruptcy. So no more flights between #Munich and #Brno, I guess. @KeithWhatley10 @MilspecP Charlotte has a Lufthansa terminal. The flight was from Munich. No flights to/from Germany out of Raleigh.